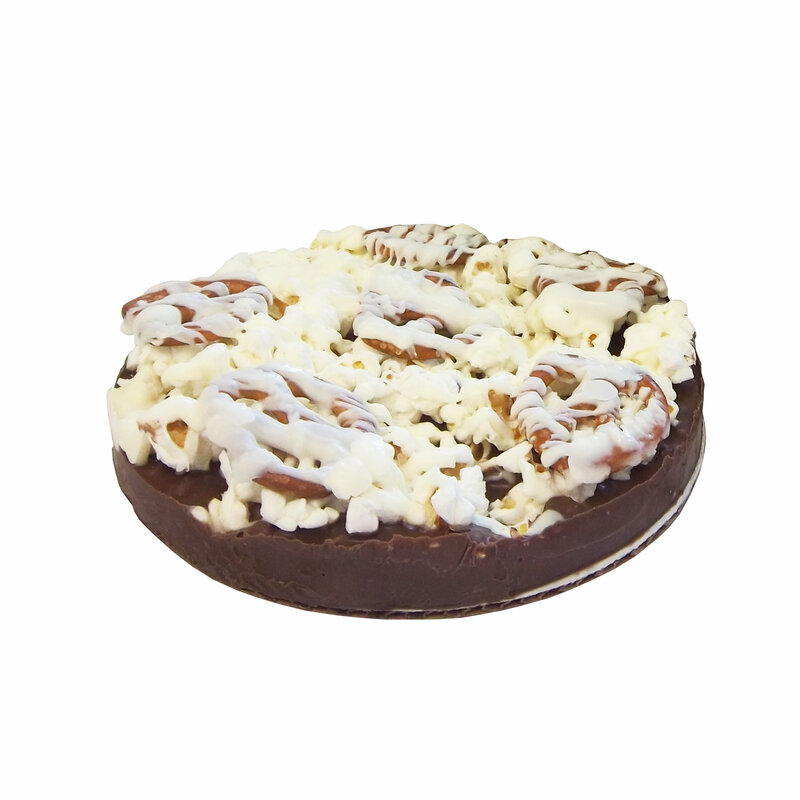 Pizza Crust of Chocolate Popcorn Lace, Popcorn, Pretzels, and White Chocolate! Comes with its own Pizza Box! Makes a great gift! Nut Free and Kosher Certified!